Despite major apprehensions over the partial airport closure, tourist arrivals were the highest recorded in the month of January, providing the required impetus to kick start another record breaking year. Tourist arrivals grew by 13 percent reaching 219,360 visitors last month, which is an all time-record for the month of January. “This performance has laid to rest fears that the partial airport closure will have an adverse impact on tourism. I’m very happy that our efforts to streamline operations so as to minimize the impact of the closure have paid off,” noted Tourism Development Minister, John Amaratunga who has been spearheading efforts to mitigate the fallout from the daytime closure of the Bandaranaike International Airport in order to facilitate rehabilitation of the two decade old runway. Tourist arrivals during the traditional peak winter season have been driven by arrivals from Western Europe which grew by nearly 14 percent year on year accounting for 72,500 visitors. A significant feature has been the revival of the Scandinavian market which has been a significant contributor to the numbers. Meanwhile arrivals from the Far East driven by China have been impressive, growing by a hefty 26 percent, contributing 48,773 visitors while arrivals from South Asia have seen marginal growth with 41,470 arrivals. Similar to Scandinavia there has been a noteworthy revival in the Japanese market which has grown by 28 percent in January. Markets that have shown double digit growth include North America, Eastern Europe and Australasia which augur well for the future given the fact that these have been dormant markets for a long period of time. “It is great to see the non-traditional markets making a substantial contribution to the numbers. This shows that the focused promotional activities in these markets are paying off,” said Minister Amaratunga. Meanwhile Africa and the Middle East have shown negative growth which is indicative of the volatile conditions prevalent in the region. 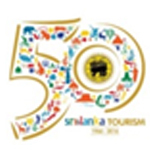 Sri Lanka crossed the 2 million arrivals threshold for the first time in its history last year. Although projections for 2017 have largely been conservative factoring in the 3 month partial closure of the airport during the peak tourist season, indications are that 2017 will in fact deliver the anticipated targets.